A Colombian veterinarian, who allegedly performed surgery on puppies to be used as drug mules, has been deported to the United States after more than 10 years on the run. Andrés Lopez Elores is accused of surgically implanting liquid heroin capsules in the stomachs of dogs in his country of origin before sending them to the United States. 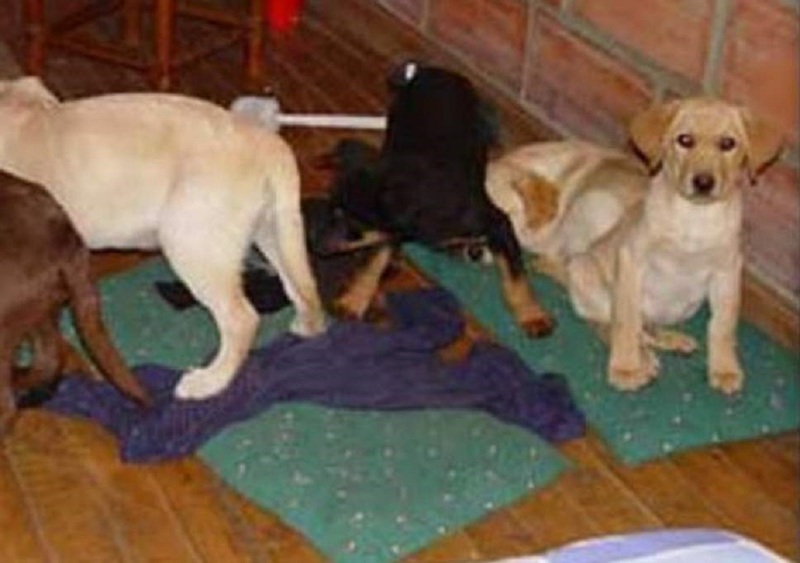 US prosecutors say he sewed packages of heroin worth $2 million (£1.47 million) in the bellies of six puppies. When the dogs arrived in the United States, the packages were surgically removed. The plot was revealed in 2005 by the Drug Enforcement Administration (DEA) in New York and one of its taskforce in Colombia. During the 2005 raid on a medical clinic run by Elioris in Medillin, Colombian authorities found 6.6 pounds of heroin surgically implanted in six puppies. At least three dogs died as a result of the smuggling operation, the agency said. However, two were adopted, including a dog that became a drug-sniffing dog for the Colombian police. While 22 Colombians were arrested in the case, Lopez Elores managed to evade arrest and go into hiding. He was finally captured in 2015, living in the city of Santa Comba, in northwestern Spain. Authorities believe he may have been in the country for up to eight years. After the Spanish national court authorized his extradition, he was transferred to the United States this week, where he will be tried for conspiring to import and distribute heroin in the United States. "Twelve years ago, our investigation revealed the cruelty of inhumane drug traffickers," said James Hunt, DEA Special Agent in Charge. "Over time, drug organizations’ greedy thirst for profit leads them to commit absurd crimes such as the use of innocent puppies to hide drugs or, these days pushing lethal amounts of fentanyl onto our streets. This week, the veterinarian supposedly responsible has been brought to New York to face the charges against him." According to the American lawyer Richard P Donoghue: "Elorez is not only a drug smuggler, but he also betrayed the veterinarians pledge to stop animal suffering when he used his surgical skills in a harsh scheme to traffic heroin into the puppies' abdomens," he said. Dogs are man's best friend, and as the accused is about to learn, we are the worst enemies of drug dealers." If convicted, Elores can face between 10 years and life imprisonment.